TAO magic Glisse surf school at Hossegor, France. Are you looking for a surf lesson? If the answer’s yes, our friends at Ongosa are the go to team for a trusted, reliable surfing experience. 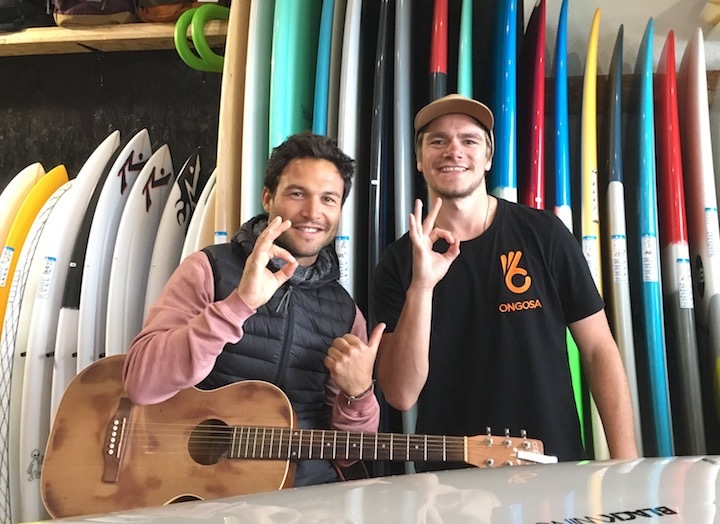 Whether you’re looking to take your surfing to the next level with a surf professional or looking for family friendly lessons, Ongosa’s network of the most experienced, highest-rated guides and specialist surf instructors will ensure you’re in good hands. The Ongosa team have explored Europe’s best surf spots and hand-picked a network of 100+ surf professionals to make sure you get the best surf coaching available. We’re constantly updating our network with highly recommended instructors in new surf locations. So you can get the best private, one-to-one sessions, confidence-boosting tuition and group lessons. We can book private or group lessons for any age or ability. We can also tailor a course to suit your ambitions and needs. Make an enquiry here, and Ongosa will get you offers from the best instructors in your chosen area. Simple as that.